Arsenal forward Olivier Giroud has emerged as a surprise target for Borussia Dortmund in the summer transfer window. According to the football transfer rumours in German Media (SPOX), Borussia Dortmund are preparing move for Arsenal forward Olivier Giroud. The France international was signed by Arsenal in July 2012 from Montpellier for a fee of 12 million euros. The 30-year-old has a valid contract with Arsenal until June 2019. Since his arrival from Montpellier, Olivier Giroud has scored 98 goals and provided 41 assists in 227 games for Arsenal, including 16 goals and provided 7 assists in 40 games in all competitions last season. As a member of France national football team, Olivier Giroud has won 64 caps and has scored 27 goals. Olivier Giroud is one of the more likely players to be offloaded by Arsenal this summer and the list of suitors in the France international continues to grow. 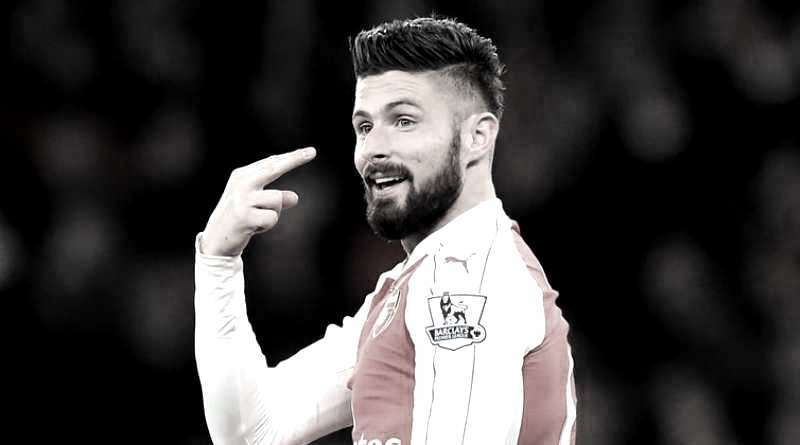 Peter Bosz wants to sign a new forward this summer and Olivier Giroud is one of the names at the top of his wishlist. The France international is thought to perfectly fit the profile of attacking player Peter Bosz wants to target in the summer transfer window. Borussia Dortmund manager Peter Bosz wants to continue to strengthening his squad so they’re able to compete both domestically and in the Champions League next season. Borussia Dortmund are desperate to make an impact in this summer transfer window. With questions being raised concerning Pierre-Emerick Aubameyang’s future at the club, the Borussia Dortmund boss could well look to Olivier Giroud as an ideal replacement. Everton, West Ham, Marseille and AC Milan have reportedly registered an interest in his services and have enquired over his availability. It’s now down to the manager and the board to decide his future. How strong that interest is and whether Borussia Dortmund will make a summer move remains to be seen but it is certainly one worth keeping an eye on.